Since Mike Leach took over at Washington State in 2012, the Cougars have now won six games while running for fewer than 25 yards. Washington State beat Utah 28–24 on Saturday, and the Cougars won exactly the way head coach Mike Leach would have drawn it up if he had the chance. 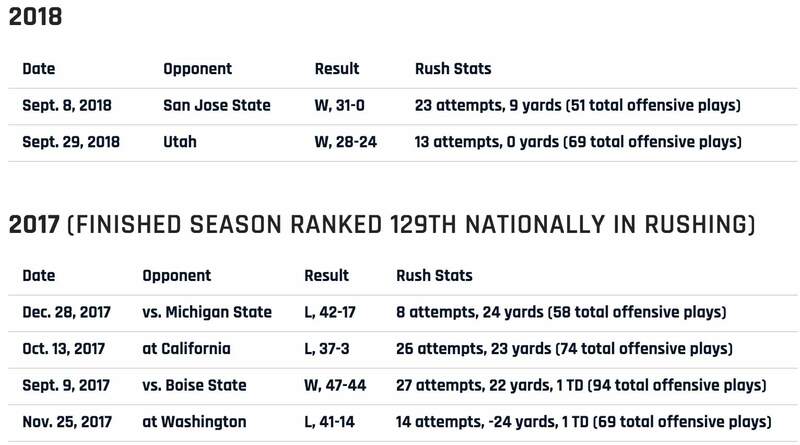 Washington State’s offense, which famously runs Leach's pass-happy Air Raid scheme, had rushed for over 100 yards in three of the season’s first four games. But on Saturday, the Cougars got back to throwing the ball around the yard, with senior Gardner Minshew completing 31 of 56 passes for 445 yards, three touchdowns and one interception. However, as eye-catching as Washington State's gaudy passing line was, its ineffective running game was just as striking. The Cougars' final official rushing total: 13 carries for zero yards and one touchdown. 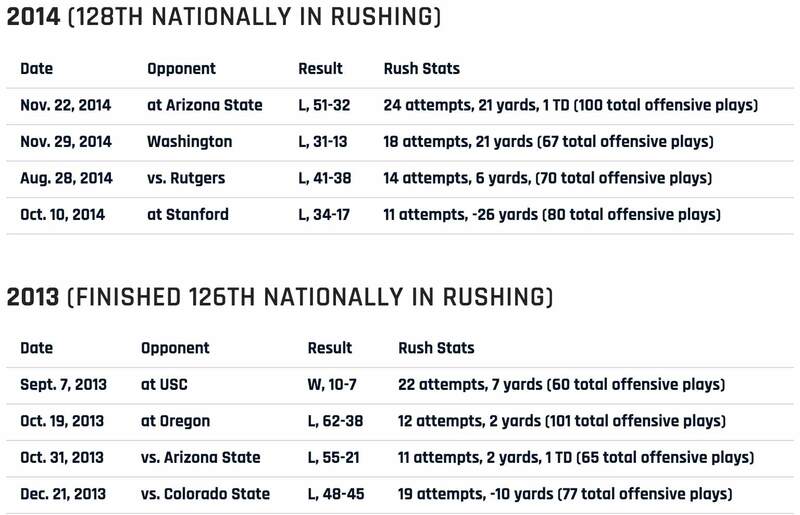 As surprising as it may be to see a football team winning a game despite getting minimal production from its rushing attack, it hasn't been all too uncommon for Wazzu since Leach took over in Pullman. Saturday marked the sixth time the Cougars have won while rushing for 25 or fewer yards since Leach has been at the helm. Washington State is 6–17 in such contests since 2012.